After going from Drewery Lane to Caledonian Lane, the next location of the Star Tour is Union Lane. Union lane unlike Caledonian Lane is much more narrow. When walking down through the lane you can see that everything that could be covered with art is covered. 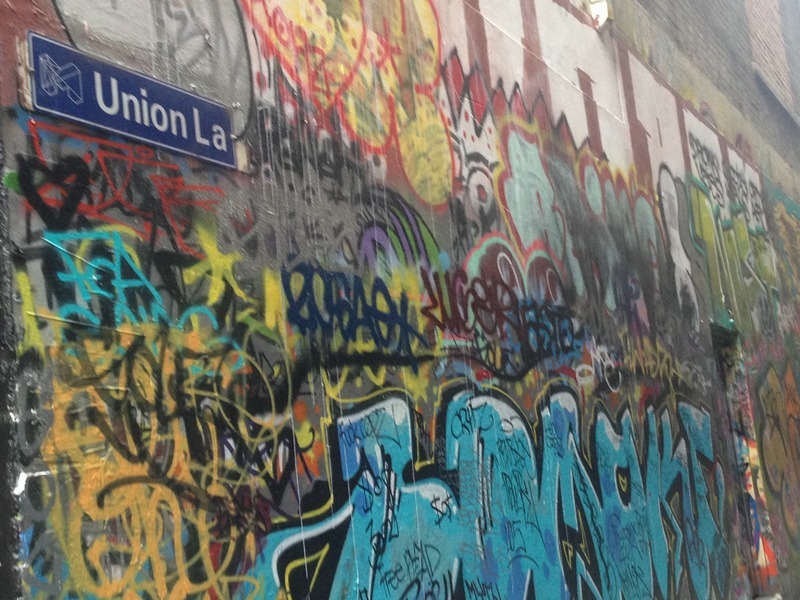 From sculptures to murals and everything in between, you can see at Union lane. What is very interesting and special about Union Lane is that there is artwork from so called “armatures” as well as the well renowned street artists such as Will Coles. Another thing that makes Union Lane amazing is that the images start from the ground and go way up on top of the buildings. So to see everything you have to walk up and down the lane many times. 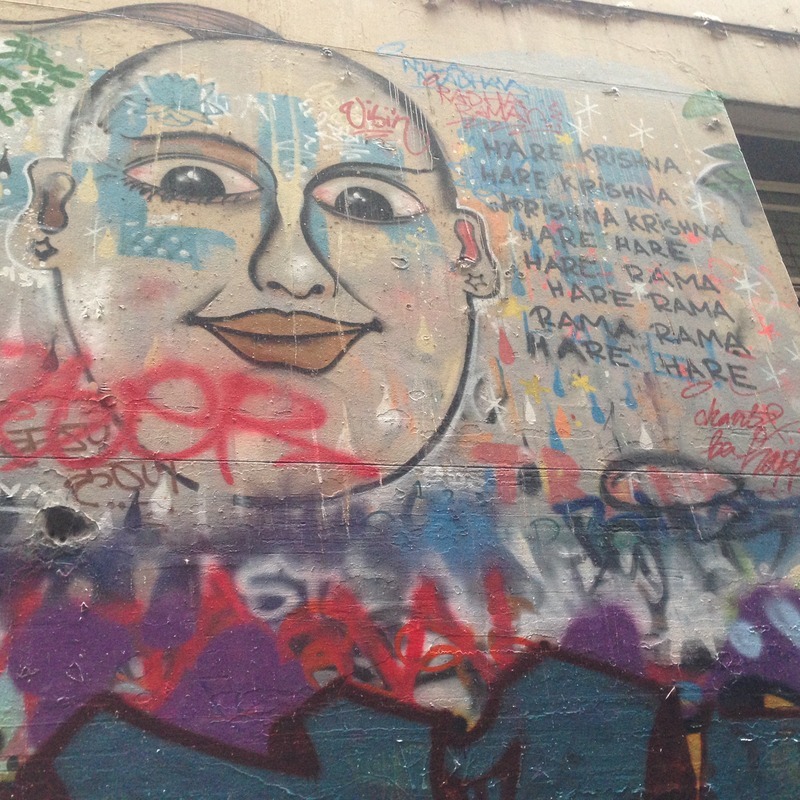 Murals are very prominent at Union Lane like they are in both Drewery Lane to Caledonian Lane. In the image you can see a person who looks to be depicting Krishna who is a deity. This mural is also accompanied by some words next to it. This mural has a lot meaning because of its religious heritage and sparks interest to many people. Like in both Drewery Lane to Caledonian Lane, Union Lane has many different murals that help create consistent thinking about the pieces and what they mean. “Stop 3,” Street Art deTours, accessed April 24, 2019, http://streetartdetours.com/document/1162.